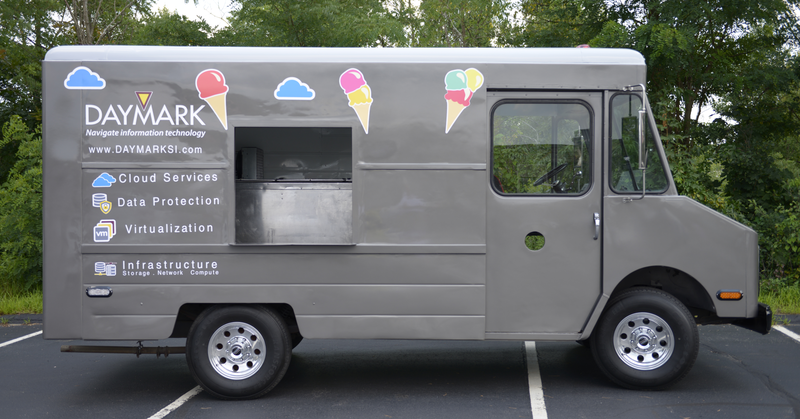 Lexington, MA, July 31, 2014 - Daymark Solutions, announced today that it’s rolling out its own ice cream truck. The goal is to support customer and charitable events and raise funds for worthy causes. When Daymark employees saw an old ice cream truck for sale they had an idea: Buy and refurbish the ice cream truck and use it for fund raising as well as customer and employee appreciation events. “We look forward to using the truck for local fund raising and customer appreciation events,” added Roberts. Daymark customers and partners are encouraged to contact Daymark if they would like the ice cream truck to visit their business or charity.